Contemporary design, high quality, inspirational images….Riviera Glow is all about looking good after all! Riviera Glow are spray tan therapists based in Quarry Bank and fully trained by the multi-award winning brand, St. Tropez. They also offer HD Brow, Lash Perfect and Bio Sculpture Nail Treatments. The website includes Home, About, The Treatment, Spray Tan Offers, Tanning Tips, About St. Tropez, St. Tropez Products and a secure online contact form. In our latest update we’ve added an online blog and a fully functioning e-commerce store. 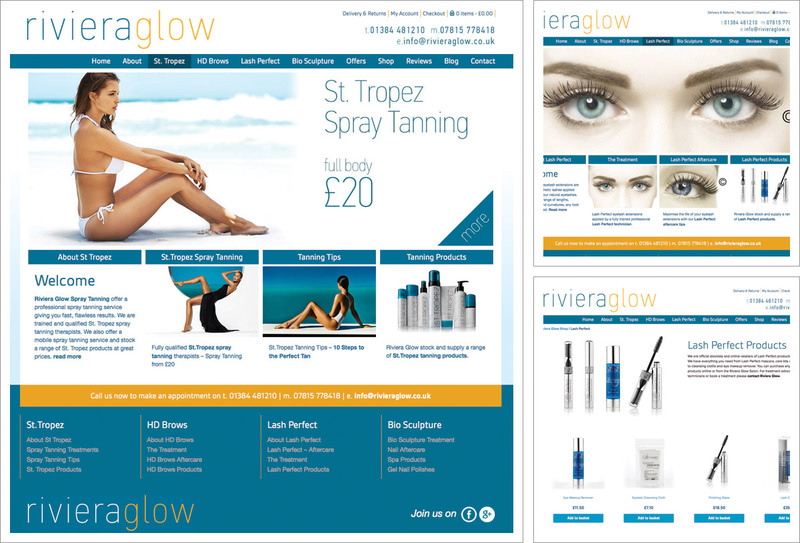 Read more about Riviera Glow on our Bromsgrove Web Design Blog.